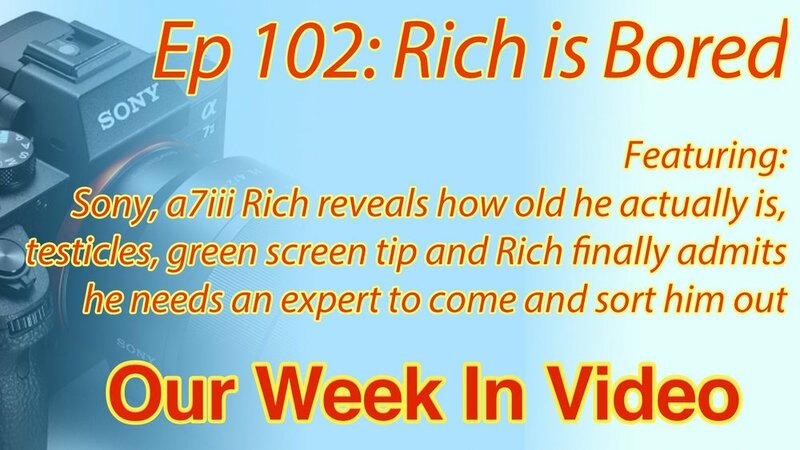 Ep 102: Rich is Bored - Featuring testicles, Rich reveals his age and finally Rich admits he needs an expert to come and sort him out! Rich and I have a varied discussion this week. Mainly it consists of creating two wedding video companies, one specialising in high-end and the other in high-turnover, is it a viable business? We talk about the surprising Sony a7iii announcement and how it might be a great ‘B’ camera for Rich and myself at weddings. Finally Ben talks about how he got a better result with a green screen gig he got by using one light rather than two. Enjoy!